Shoal Creek rises in the Pisgah National Forest between Nancy Mountain and Burnt Mountain near the Eastatoe Gap. 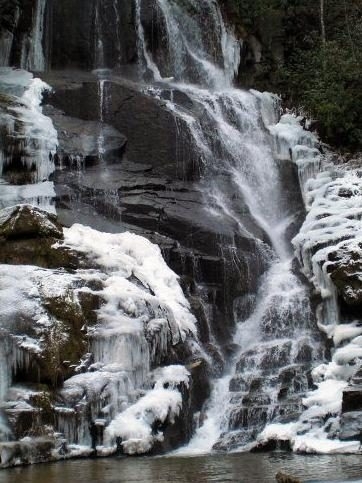 The creek descends over 200 feet over a quarter mile, culminating in the 60 foot series of drops over granite bedrock at Eastatoe Falls. The creek continues on past the falls to join with other tributaries to form the Middle Fork French Broad River.